The Water Base 6 Post Plastic Chain Kit is a highly functional yet versatile addition to temporary fencing utilities. The plastic chain link and chain link post in this kit can be used in many different situations, both indoor and outdoor. 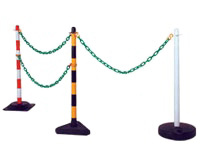 Because of its ability to be easily carried from place to place as well as its stability, this plastic barrier chain kit presents a very useful solution to any number of problems that businesses may face regarding traffic flow or pedestrian access. Where can the Water Base 6 Post Plastic Chain Kit be used? A Plastic Post and chain fencing kit is able to be used both inside as well as outside for any purpose that requires a temporary barrier to be erected. Ideally, in areas where a fence is necessary to restrict access or to direct the flow of traffic, these kits can be utilised with great success. Successfully used as maintenance barriers, pedestrian barriers, warehouse barriers and a great, quick, cost effective queue management system . Their lightweight yet durable construction means that they can easily be moved from one place to another. Who might use the Water Base 6 Post Plastic Chain Kit? Companies that are engaged in maintenance or repairs may be able to use plastic barrier chain as a solution to cordon off areas that can be dangerous to pedestrians. In areas such as these, there is always a hazard of falling materials or debris as well as the added problem of pedestrians interrupting the work being done. The plastic barrier kit seen here serves as a very versatile temporary fence that stops unauthorised personnel from entering the workspace. 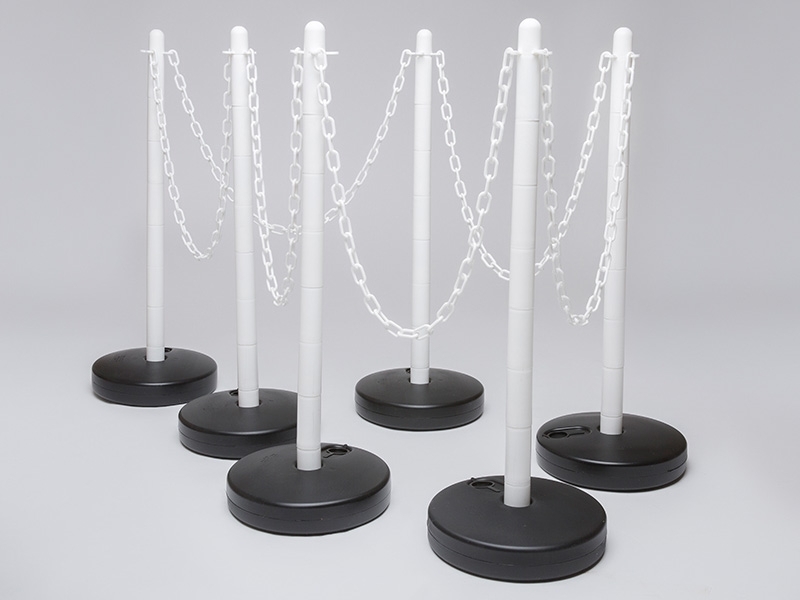 This type of water base 6 post plastic chain kit comes with the bases and the posts, as well as the chains and the connectors. 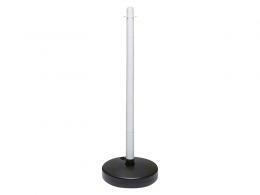 The bases are 75mm high and 300mm in diameter with the posts being 40mm in diameter and 880mm high. Along with the posts, bases and chains are two packs of s-hooks and 2 packs of connectors with each pack holding ten apiece. The chain is supplied in 2m increments for easy assembly onto the posts.